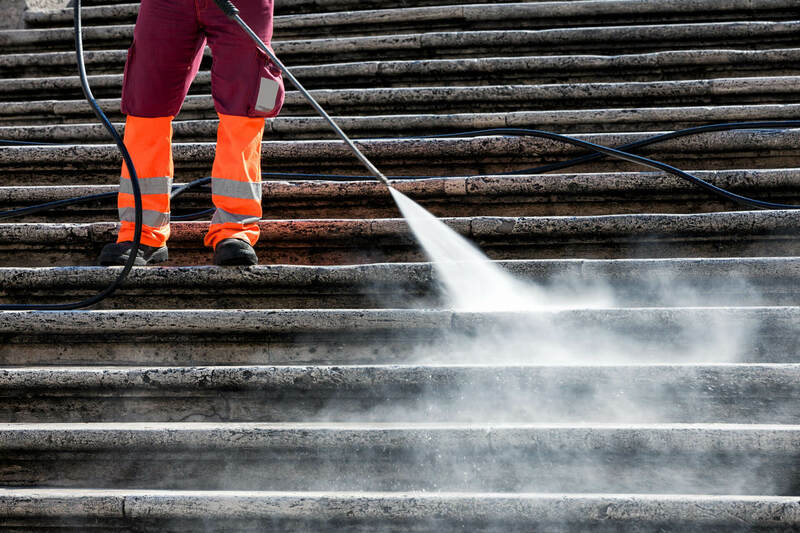 Make your building look its best with Sound Cleaning commercial pressure washing services. Sound Cleaning can brighten your exterior grounds and building by pressure washing away moss, algae, dirt, debris and other particles. If you are looking for a commercial pressure cleaning services company, Sound Cleaning Resources will get the job done right. What can be removed from commercial pressure washing? Commercial power washing removes moss, algae, dirt, debris and other particles. It is a great way to brighten up store fronts, parking lots, awnings, building exteriors, sidewalks, curbs, new construction and more. What kind of equipment do you use for commercial pressure cleaning? Do you have references specifically from other commercial pressure cleaning customers? How much does it cost for commercial power washing?